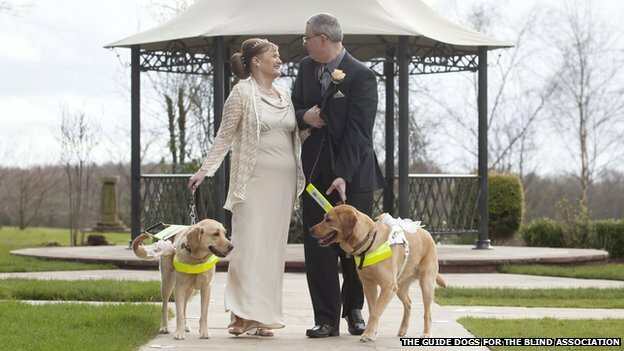 A couple who got together after their guide dogs “fell in love” at a training camp have tied the knot. Claire Johnson, 50, and Mark Gaffey, 51, met in 2012 after Labrador-Retrievers Venice and Rodd took a shine to each other. The pair guided their owners through the service in Barlaston, Stoke-on-Trent, on Saturday and even acted as ring-bearers. Ms Johnson said she had “no doubt” the dogs had brought the couple together. She doesn’t want to be named but – after receiving £1,900 in back pay – she does want others to know that if you’re battling bureaucracy at Sheffield City Council, then Action Desk is the place to turn. The lady, who cares for a blind woman, got in touch after receiving no wages for three months. Under a complicated scheme the cash was sent from the council to a service which paid out the woman’s care funding as if she were an ‘employer’.